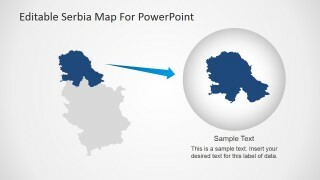 The professionally designed Editable Serbia Map for PowerPoint provides teachers of geography, keynoters and presenters with the ideal tools that they will require to create riveting and engaging presentations for lessons, seminars and lectures on the geography, history, economics and tourism of the nation of Serbia. 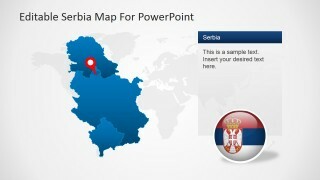 Serbia, known officially as the Republic of Serbia, is situated upon the South East and Center of Europe. 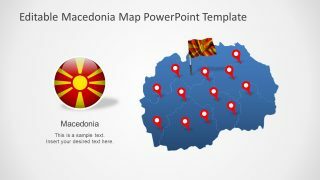 The nation covers the southern parts of the Pannonian Plain and the central areas of the Balkans. 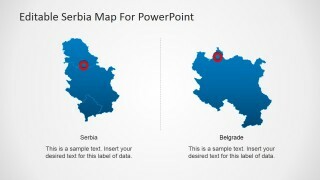 A landlocked country, Serbia holds borders with Hungary to the North; Romania and Bulgaria to the East; Macedonia to the south; and, to the west, Croatia, Bosnia and Montenegro to the west. 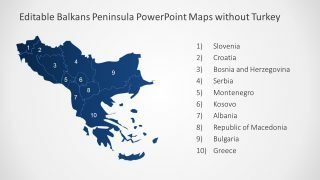 Via the disputed territory of Kosovo, Serbia also claims a border with Albania. 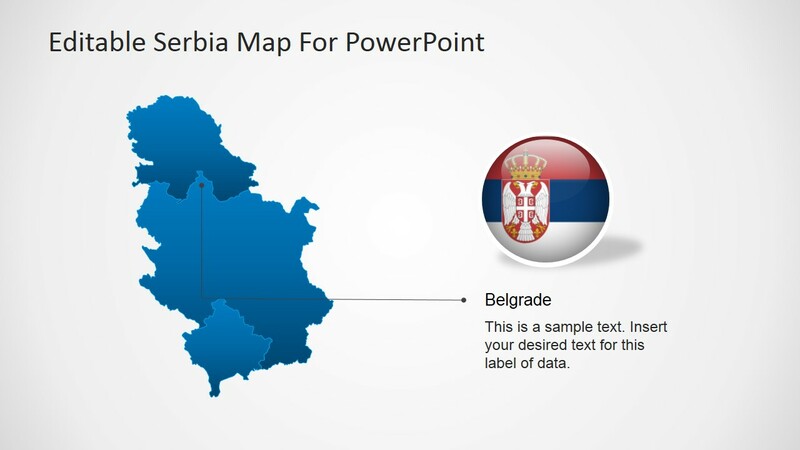 Interestingly the capital city of Serbia, Belgrade, is known to be one of the largest cities in Southeastern Europe. 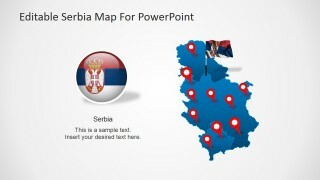 Serbia is currently an upper-middle income economy and boasts a dominant service sector followed by those sectors governing industry and agriculture. 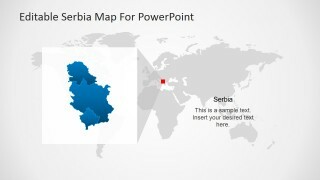 The Republic of Serbia is a member state of the UN (United Nations), CoE (Council of Europe), OSCE (Organisation for Security and Cooperation in Europe), PfP (Partnership for Peace), BSEC (Organisation of the Black Sea Economic Cooperation) and CEFTA (Central European Free Trade Agreement). 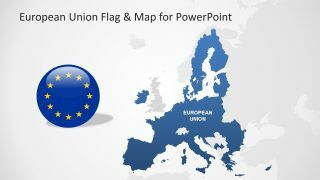 It is also recognised as being an official candidate for membership within the EU (European Union). 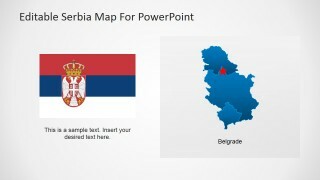 Militarily speaking, Serbia is a neutral state. 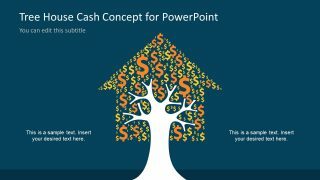 This slide is entirely editable, all icons, images and vector graphics having been created using high quality clip art elements which are freely available in all PowerPoint applications. You will be able to amend and alter any aspect of this template.